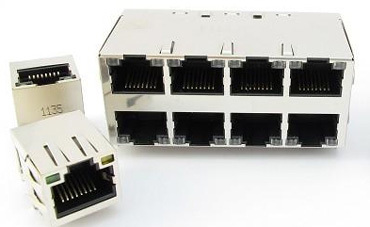 SUYIN Corporation, is a premier connector manufacturer. It was established in 1981. With 30 years of experience, SUYIN is committed to excellent service, innovation, and total customer satisfaction. With their great vision and constant commitment to quality and manufacturing excellence, SUYIN successfully became one of the fastest growing companies in the industry. 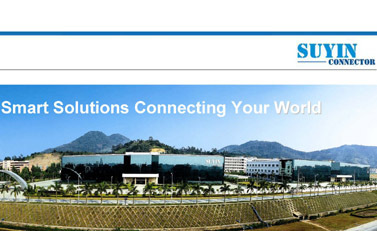 Suyin has one of the most complete and state of the art production facilities in the connector industry. 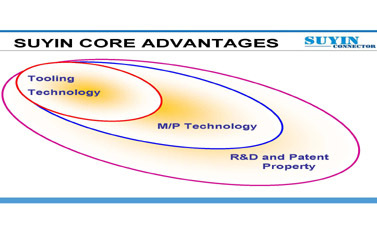 Their services apply for Automotive, Industrial, Consumer and Server. SUYIN has six production sites in China and Taiwan with more than 30 new product developments per month. It has a complete integrated precision tooling center with a total area of 289.9 acres located in their headquarters, China. Their goal is to maintain a standard of excellence in the facility, staff, and products. Their products can be assured to meet your expectations. SUYIN, a major connector provider, is also proudly to own a total 803 connector patents in Taiwan, China, USA and Japan. 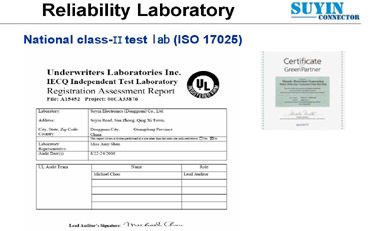 Its production plant for worldwide market in Dongguan, China has R&D, high precision tooling house and independent ISO 17025 certified quality lab as well as its Green Partner certification. The precision tooling center, automation manufacturing and robot assembly has greatly increased its high yield rate in production. Quality is highly enhanced and controlled. 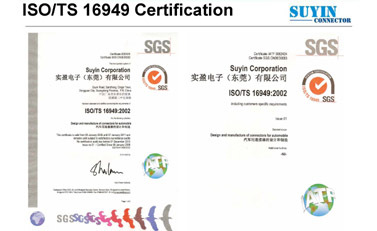 In order to meet the highest standards set by valued customers, SUYIN runs their plants according to ISO/TS 16949 certification. And, their staff is composed of knowledgeable engineers and highly trained production personnel in the industry.